This survey is from my blogger pal, Jamie at The Perpetual Page-Turner. It's divided into two parts. The first part is focusing on books we read in 2010- not necessarily books published in 2010, but books we READ in 2010 and then the second post, coming up soon, will be about blogging in 2010. 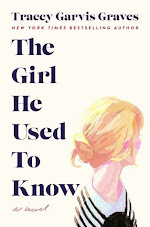 I am going to add a third post that discusses my favorite books that were published in 2010 only. So, keep you eye out for those posts this week! 1. Best book of 2010? For me, this is almost impossible to answer, because I have a list of about ten or so books, but if I had to narrow it down, I'd go with my early favorite- The Body Finder by Kimberly Derting. It combined my some of favorite things, such as romance, suspense, mystery, paranormal elements, and crimes. What can I say? I love crime scene investigations and a good mystery. 2. Worst book of 2010? Freaksville by Kitty Keswick- it wasn't the "worst book," but for me, it was the least enjoyable. I'm sure my middle school students would love it though. 3. Most Disappointing Book of 2010? If you followed my blog this year, you know how disappointed I was with Halo by Alexandra Adornetto. For me, it didn't work and it was a big letdown. I also broke up with a series this year- The House of Night series by P.C. Cast and Kristin Cast. I hated Burned; I just got too frustrated or maybe it's me? Either way, it was time to go our separate ways. 4. Most surprising (in a good way!) book of 2010? I was completely surprised by The Agency: A Spy in the House by Y.S. Lee. I really enjoyed it. It combined a fantastic mystery and the setting was Victorian England, which I love! 5. Book you recommended to people most in 2010? There are three that I recommend freqently. Nightshade by Andrea Cremer for those who would like a break from vampires and enjoy werewolves. 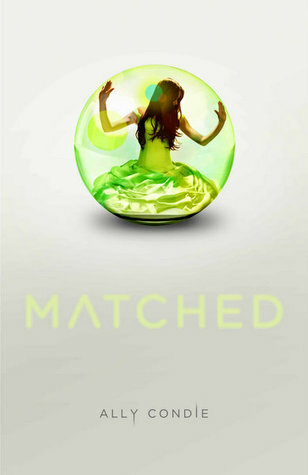 I also recommend Matched by Ally Condie to fans of dystopias and finally, I recommend Anna and the French Kiss by Stephanie Perkins to fans of contemporary/realistic fiction. 6. Best series you discovered in 2010? The Mortal Instrument series by Cassandra Clare; I am a huge fan! 7. Favorite new authors you discovered in 2010? She is a "new to me author" and I am borderline obsessed with her writing style. It's the incredible Jenny Han. 8. Most hilarious read of 2010? 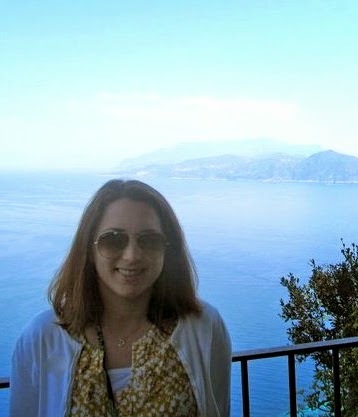 I remember reading Jessica's Guide to Dating on the Dark Side by Beth Fantaskey this summer on vacation at Key West. I was by the pool laughing out loud hysterically. I don't know if it was too many Key Lime Pina Coladas, but I thought this book was hysterical. I also adored Sloppy Firsts by Megan McCafferty; it was extremely funny. 9. Most thrilling, unputdownable book in 2010? Duh, the Hunger Games series by Suzanne Collins. Amazing! Any series that can get my dad and my husband's attention (former reluctant readers) is an incredible series. I also had a hard time putting down The Maze Runner by James Dashner. 10. Book you most anticipated in 2010? Mockingjay by Suzanne Collins for obvious reasons as well as Matched by Ally Condie. 11. Favorite cover of a book you read in 2010? 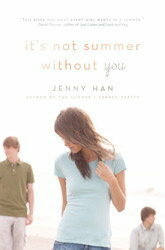 I adore the cover of Fallen by Lauren Kate as well as the cover to The Summer I Turned Pretty and It's Not Summer Without You by Jenny Han. 12. Most memorable character in 2010? It's definitely a three way tie: Katniss from the Hunger Games series, Belly from Han's Summer series and Rose from Vampire Academy series. Yes, they are all VERY different, but that is why I love these three characters. 13. Most beautifully written book in 2010? I thought Before I Fall by Lauren Oliver was written beautifully. I love Lauren Oliver's writing style. I read If I Stay this year and I would have to say it was the most beautifully written book I've read in a long time. If I had to pick an adult book, I would go with Saving CeeCee Honeycutt by Beth Hoffman or The Distant Hours by Kate Morton-both really well done. 14. Book that had the greatest impact on you in 2010? If I stick to YA, I'd go with It's Not Summer Without You by Jenny Han (I told you I was obsessed) or Revolution by Jennifer Donnelly. 15. Book you can't believe you waited UNTIL 2010 to finally read? City of Bones by Cassandra Clare, which came out in 2008 and I just read it this past year. It completely rocked my world. I also just read Sloppy Firsts a week ago and LOVED it; it came out in 2001! I definitely wish I started that series sooner! More to come soon! Hope you are having a great holiday! Most disappointing for me was also Halo (big letdown), along with Personal Demons. I was disappointed in that one. I just bought the Body Finder, I can't wait to dig in and meet Jay, everyone has this book on their "best of" list and I've been missing out for too long! I loved Matched and Anna and the French Kiss as well:) I heard Halo was definitely disappointing, so I skipped that one. Great list Christina! I'm exploring all these lists and it is quite fun. I've added Matched and Anna to my wishlist. Nice to see you liked these. Loved this! It was neat to read your reading reflections of 2010. Great list! I need to try several of these. Love your choices. I posted my survey a few days ago. We had the same best book and disappointing book. hi, i found you from the meme, and love your answers, i go a few books form my TBR pile. btw, i love your blog, and just became a follower. i'm gonna grab your button, too. happy new year!!! !